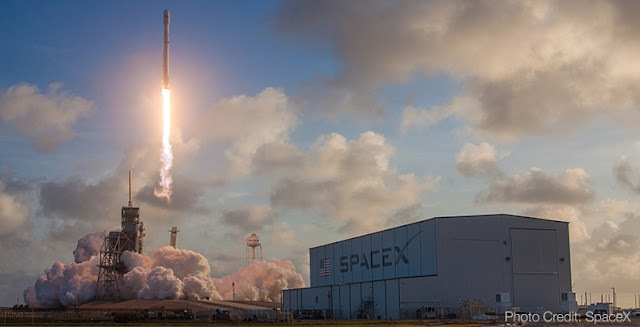 The pioneering company in memorial spaceflight, Elysium Space, has announced that its Elysium Star II memorial spacecraft will be on Spaceflight’s SSO-A dedicated rideshare mission aboard a SpaceX Falcon 9 to be launched from Vandenberg Air Force Base in California. Last November Elysium Space announced its revolutionary partnership with Spaceflight, a leading provider of launch and mission management services, to offer annual memorial spaceflight services to families, drastically reducing waiting times from years to months. “We are honored to assist families in achieving their dreams, riding on one of the greatest rocket in the world. This historical launch provides the perfect conditions to make this memorial spaceflight an exceptionally meaningful experience for all participants.” said Thomas Civeit, founder and CEO of Elysium Space. The 100 participants already booked for the upcoming Elysium Star II mission include U.S. military veterans, aerospace enthusiasts, and families looking to celebrate a loved one within the poetry of the starry sky. Families are welcome to join this historical launch event at Vandenberg in Southern California, or to watch via a live stream. The spacecraft will be deployed in a Sun-synchronous orbit, ensuring it will pass over every location in the world during its journey among the stars, which will last about 2 years before re-entering the atmosphere as a shooting star. The free iOS/Android Elysium mobile app will display the memorial spacecraft location in real time during the mission, enhancing the overall personal connection and experience. Reservations for the Elysium Star II mission are still open via the Elysium Space website, starting at $2,490. The Elysium Space memorial spacecraft are the first dedicated satellites ever launched for this purpose, and offer the most personal experience; previous memorial spaceflights consisted in mounting participants’ capsules to a rocket upper stage or another existing satellite. SpaceX’s Space Launch Complex 4E (SLC-4E) at Vandenberg Air Force Base has a long history dating back to the early 1960s. Originally an Atlas launch pad activated in 1962, SLC-4E was in active use until a final Titan IV launch in 2005. SpaceX’s groundbreaking was in July 2011, and the pad was completed in just 17 months later in November 2012. This milestone allows Elysium Space to pursue its prime mission of offering exceptional tributes that are within the reach of most families; by looking into the infinite wonder of the night sky, we can remember the beauty of those who have touched our lives forever. Seems hugely ego-centric to celebrate a life by adding more pollution to the atmosphere for temporary gimmick having the ashes "pass over every location in the world during its journey among the stars [er, no... just in low Earth orbit], which will last about 2 years *before re-entering* the atmosphere." These rich people should just pay to plant a whole bunch of trees, clean up a river, donate to support children's education in science and ecology. You know, productive!